“This report is the latest alarm bell on the NHS staffing crisis. The government must heed these warnings if it wants to turn back the tide on NHS nursing shortages. “The reasons for the drop in the number of nurses are, amongst other things, the result of excessive workloads, ongoing pay restraint, a lack of on-the-job training, and uncertainty surrounding Brexit. “Disturbingly, the report highlights that nurses feel undervalued – a damning indictment of the government neglecting a workforce held in high esteem by the public. – The House of Commons Health Committee’s Second Report of Session 2017-19, Nursing workforce (HC353) will be published on their website at 00.01hrs on Friday 26 January. 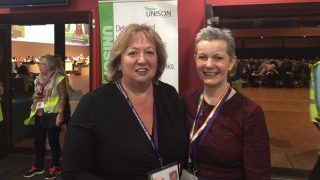 – UNISON’s written submission to the Health Committee was included as evidence for the report.